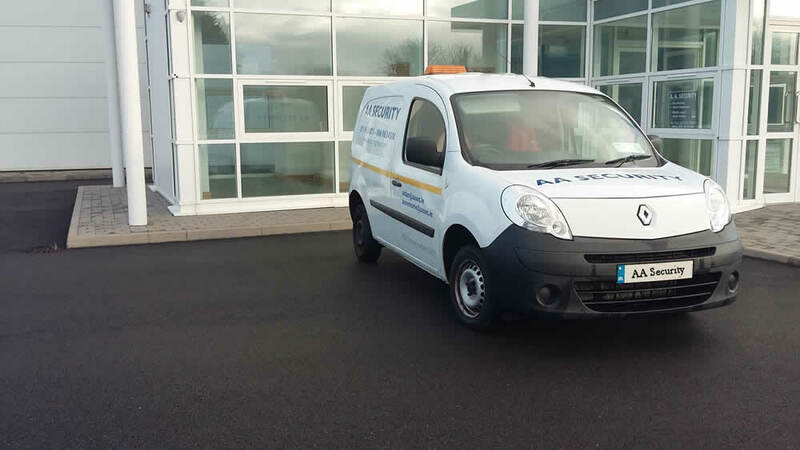 AA Security, established in June 2005, is a private security company operating nationwide with its head office based in County Sligo. AA Security is fully licensed by The Private Security Authority, Licence Number 00825 under section 22 of the Private Security Services Acts 2004 and 2011, and holds a Certificate of Registration for Guarding Security Services Assessment from the Approved Certification Body, EQA, Standard PSA 28:2013. We provide static and patrol security services to a broad list of industries, including commercial, corporate, student accommodation, industrial, hospitals, retail, construction, and energy sites. Our goal is to provide a level of security service that exceeds our clients’ expectations nationwide including Galway, Sligo, Dublin, Donegal, Leitrim, Longford, Mayo and Cavan. We respond efficiently to alarm calls 24 hours a day, establishing remotely whether the alarm has been activated in error and attending the site if needed. The protection of your property is our primary concern. AA Security will provide a comprehensive response service to your intruder, fire and panic alarms ensuring peace of mind 24 hours a day. Our well-trained, vetted and licensed security personnel are on call to protect you and your property from any unnecessary risk or inconvenience throughout Ireland.